Is Facebook’s new payment service a game changer? 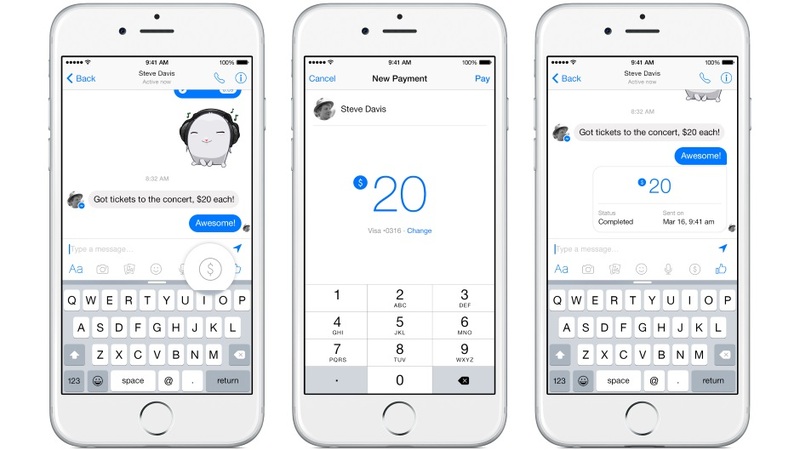 American Facebook users will soon be able to send payments through the Facebook Messenger app. The app will feature a $ sign above the keyboard which will lead you to a payments interface. By entering the amount you want to send in the text message to a friend and tapping on the pay button, the money will be sent. With more than 500 million users of Facebook Messenger the potential for this new P2P payment service is huge. However, one should take into account that being a Facebook messenger user is not enough to send or receive money. The first time a payment’s made, you are prompted to add their Visa or MasterCard debit card details. If your friend doesn’t have a debit card linked, it’s simply held until he or she adds one. The new service therefore will be only available for people with a bank account and at least a debit card. For the general American Facebook user this will be case. The same goes for the European user. But in other regions of the world, the situation can be very different. Last week, I attended the Innovate Finance Global Summit in London and listened to a presentation of Joyce Kim of Stellar. The mission of Stellar is to expand financial access and literacy worldwide by creating common financial platform, designed to be open and accessible to everyone. When listening to Joyce Kim, it became clear to me that not every social media user has access to the mainstream global financial system. Nevertheless, with 500 million Messenger users, Facebook’s P2P payment service is a serious competitor for Venmo, the popular P2P payments service owned by PayPal. One of the co-founders of PayPal, Max Levchin, was also speaking at the Innovate Finance Summit. Levchin has left PayPal years ago and is now working on a new digital finance platform called Affirm. With Affirm, he wants to make the credit card obsoleted by reinventing the financial system instead of just building something on top of it. The new payment option Facebook offers to its users will certainly give a total different user experience in payments, however it is not the game changer that will reinvent the financial system. The underpinning infrastructure is still the one owned by traditional players, like banks and credit card companies.